So this weekend I am participating in the death ride tour. It’s a 235 mile 3 day event with 16K in climbing. I had a great build up to this event until about March and then work and life kept me off the bike quite a bit. I’m scared but hopefully in a good way – one where I will not overdo things and will really be able to enjoy the ride. I’m coming from 700ft of elevation and we will be riding above 7500ft most days and reaching as high as 10,000 ft a few times – it should be a blast. Nutritionally I have been happy with my Hammer Nutrition products so far on my long rides so I will keep them going while on this trip – finding vegan food may be a challenge so I will be sure to pack well. The other great addition to my training has been trailnuggets from Rodeo Adventure Labs – I have know about this product since it’s inception and was lucky enough to taste test the initial products when they first launched. They are delicious, pack well and are easy to eat. They are my only bar on long rides – I’ll try to get a link up for everyone in the next post. Stay tuned on my adventure!! Ride safe, be well my friends. This morning was a foggy, misty morning to ride out in the dark – I kept noticing these little things that looked like rocks in the road and wondered where they all could have come from in just one day – then relaized they were snails out for a stroll in the wet conditions. So my morning was spent dodging them which sounds easy but at 25mph sometimes it can be a challenge. LOL Yes I am one of those vegan guys who really tries not to do harm to animals – no matter how small they are. The goal today was to be solid – solidly riding for 90 minutes at an endurance pace throughout the ride. It keeps amazing me how high of a power output I am able to do now with a low HR. It has to be all the time spent training at tempo and below pace. I did throw in just one sprint but was only able to get 802W for the 10 seconds. I was on the tank again in the wet so not sure if that has anything to do with it but I’ll keep trying. Lastly – I had a bit of a binge on thin mints last night – Ha! But they were so good and I hadn’t eaten enough yesterday (at least that is how I justified it). But my message on that is to do what you need to do to be happy. It might be to work really hard – it might be to have the 6 pack abs and the beach body – just do you and be happy! I want to ride long, like ultra-distances long. I really want to get out and just ride for hours …. and then days! But……. I’m stuck. Right now I’m stuck with about 3.5 hours at my top end. Ok to come completely clean, it’s 3.5 hours on a bike that weighs 29lbs. before I put on bottles and my gear bag. It’s a tank – but it’s pretty comfortable. I guess dragging the tank up and down the hills, even the small ones takes a toll. See, this is why we talk/type it out sometimes. I never really understood why I was getting burned by the end of a ride of the tank until just now. Soon I’m going to get back on my 16lbs. aero road bike and see how easy this same mileage feels – or maybe I’ll just go out for 3.5+ hours and see how far I go. That sounds like fun. So training overall has been going well – I have gotten in 35 hours of riding in over the last 4 weeks. That beats all of my 4 week blocks from last year. So what’s the difference – more time spent in the lower zones compared to previous years. It used to be that I would go out and hammer away then I would get super tired and not ride long or hard for a few days. This year the goal is to increase my mileage and thus my fitness before my first big event Deathridetour.com – 235 miles w/ 16,500 ft of climbing in 3 days. So 4 times or so a week I get 1.5hrs in at a lower zone than I previously would. So what are you getting from training like that?? I am seeing my times on strava.com segment decrease while seeing my mileage increase. my highest yearly mileage was 5200 miles in 2015. If I keep up at just the same pace I am on so far in 2017 I’ll be looking at clocking over 7100 miles in 2017 – But are you getting faster? So far the answer to that is close – but it is only February. Again strava.com is a great place to track progress. How fast was I last year when I felt like I was in shape compared to this year so far on those same segments? So far my times are close to my best times from the middle of summer last year – since it is February, I’ll take that as a win. Plus I have yet to start doing any real speed work at all except a few small sections 1-2 times per week. Mostly just endurance riding. I can’t say if it’s right for you – but so far, it feels right to me – stay tuned!! Another day of Z2 was planned today. For those that may not know, Z2 is riding at below 75% of my FTP – in my case I’m able to ride at 210 watts and stay in my Z2 – unfortunately today I went outside of that number and was closer to 220 watts for my ride today. Couple that with an extra 20 minutes (110 minutes total today) and I could possibly be a bit tired tomorrow but we will see. My goal still remains to be to improve the base of time and miles that I am riding. Then as the weather warms I will be able to add shorter more intense workouts back into the mix to build speed. As I build the base I will start with 1 minute efforts and then build them a minute at a time until they reach a 5-10 minute mark. Once I reach those times then I can continue to increase the intensity of those intervals. All while still riding a higher base set of miles each week. At least that is my goal. Food was excellent yesterday with a 300 calorie deficit at the end of the day. Keeping calories up while in the build phase is helping to not be sore the next day. Plus I am timing the carbs later at night which has helped me ride all of these rides during the week in a fasted state. Then on my weekend rides I am sure to fuel up before and during the rides. I believe this was a key ingredient to the improvement I saw on my 40+ miles on Saturday. I kept checking my Garmin bcz my power was so high compared to what I was expecting it to be. aaaahhhhh the power of carbs!! Food today so far is going well – lots of fresh fruits and then beans and a potato for lunch. I’m kind of a sucker for beans with potatoes – I throw some hot sauce on them and bam – high protein, high carbs and low fats. Plus I get a ton of fiber from it as well, which helps for feeling full. Still holding steady on weight even with the increased time on the bike – but I did eat almost 3500 calories yesterday and almost 4000 the day before – yum!!! 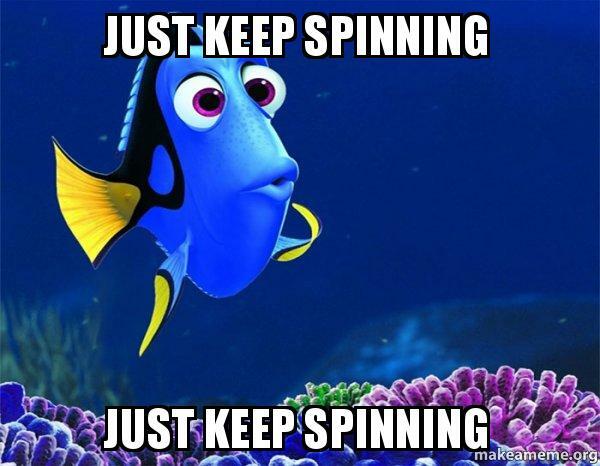 This was the mantra today over and over in my head, just keep spinning along. I was trying to stay down in Z2 for the ride but after two days off my legs were itching to stretch out and blast a bit. I was able to reign myself back in a few times and I never really opened it up today. 90 minutes of Z2 with a few moments of Z3 thrown in. It was a warm morning today, near 54 degrees and after my warm-up I was ready to go but after digging myself into a deep hole over the weekend with 2 1/2 hours most all of it at a tempo pace. I might want to explain what I mean by deep hole – I use training peaks to track my accumulated training loads each week. It does a pretty good job of tracking and letting me know when I have pushed myself for too long a period without enough rest. This weekend topped off a higher volume week last week than I normally ride. So I took a couple days off to recuperate. Today I had some fresher legs and was ready to go – hold on there big guy, there is a number of training days still to come this week. Nutrition wise – yesterday was a disaster! Work travel days tend to be tough but I was doing well all the way until dinner time then I just started eating too much – the dinner was healthy but the vegan cookie with peanut butter smeared on top just wasn’t at all. Ugh – I was super tired and very hungry when I started dinner then I just gave in! I find myself doing this once in a while when I am really tired. Yesterday was that day. But back on the mend today. Luckily my weight wasn’t too effected other than having too much sodium last night and retaining water my weight was stable this morning – down 9lbs. from my high back in June. So my warning to all is to keep hunger in check when possible by realizing what your trigger times are and trying to manage them as best you can – without bashing down a peanut butter smeared vegan cookie!! Sheesh!! Yup – this next year I am going to do it – I’m signing up for a 3 day bike tour in Colorado. I love Colorado. Having lived in that state for 30 years before relocating to sunny SoCal, there are times when I pine for the mountain views and the dry weather as I’m out riding. 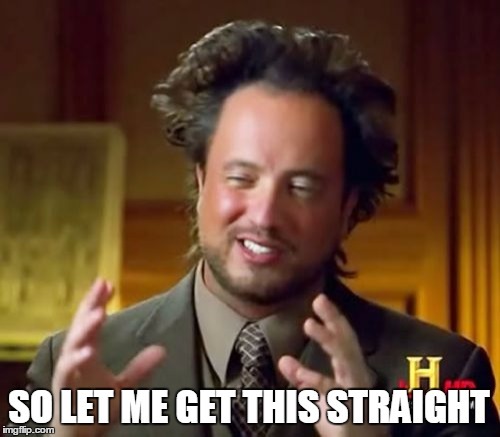 Then I realize that it is late November and I’m in short sleeves and shorts …. hmmm quite the quandary. But no matter what the weather looks like I love Colorado and am so stoked to get to go back there for this ride. I’ll have more details in the coming weeks and I’m going to journal my way through the training and nutrition I use to prep for this 3 day 235 mile ride with almost 17,000 feet of climbing. It should be a blast! Today was a nice comfortable ride again today – 90 minutes in Z2. My goal with the Z2 time this week is to set a solid foundation for interval efforts to come in the future when the days are just a bit warmer in the morning. These chilly mornings do a number on my lungs when I crank up the intensity. So Z2 it is on colder days. Besides who doesn’t want to have a higher base level? We are expecting high winds for tomorrow morning for the 2 1/2 hr. ride I have scheduled. That wind will be like riding the hills even though the elevation doesn’t change much (only 1300 feet of climbing scheduled). I want high Z2 average throughout but I am hoping for warmer temps as I would like to do 2-3 five minute efforts at/above my FTP. I don’t want to dig too deep a hole for myself in regards to weariness but I do have a day trip for work on Monday that is going to prevent me from any training at all that day. Then next Friday I have another work trip that runs through Tuesday where I will be without a bike – yikes! Luckily it’s early in the season so it’s all about health and foundation. Nutrition – I will make this a regular part of entries going forward. As I have mentioned before, I am a plant-based athlete. Some people call it being vegan as well. I eat no meat, dairy or eggs. Yes that’s right no cheese, no butter, no cheeseburgers, and no bacon. I made the switch about 2 years ago and haven’t really looked back. I will probably eat something else as well before dinner but this is a really great start to the day. Lots of whole foods, high fiber and really low fat contents. Plus it’s all delicious! Strength is a key factor in cycling better. Today I hit the gym for some weight work and some interval running. I do just a full body workout centered on key multi-joint exercises.Pull-ups, squats, and bench press and the main ones and then variations off them on other days. I keep the sets moving from exercise to exercise and in-between sets I run 3 minute intervals at a pace faster than my 10K pace. Right now that is only at 9:30/mi. but I’m working on that. Once the main set work is complete – 3 or 4 sets then I add in a couple of sets of shoulder press, bicep curls and some abdominal work as well to round out the day. I eat right after the workout – I like a shake made with #Orgain protein powder as the base then I add a bit once in a while. But it gives me 21g of protein, 14g carbs and 5g of fat. I like adding .5 scoop of cytomax to it as well for additional carbs to push the nutrients into my muscles faster. Then I round out with eating a decent breakfast. 1cup organic oatmeal, 1tbs of organic hemp seeds, 1oz. organic craisins, 2 tsp of organic agave. Great all through the full macro profile and has the staying power to fuel me for a couple of hours at least. Tomorrow I will be back on the bike spinning out more Z2 time as I try to build a very wide base of miles to start to get back to higher functional power numbers in the future.